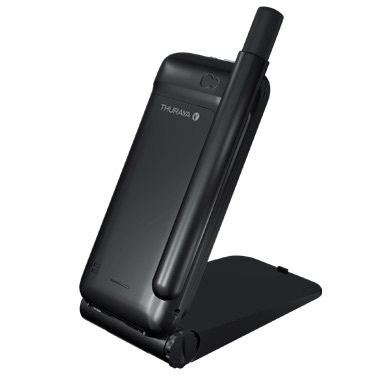 Thuraya SatSleeve Hotspot standard kit (hotspot stand included). The Thuraya SatSleeve Hotspot lets you use your smart phone through the Thuraya satellite network. The hotspot has a 30-meter Wi-Fi range so you can use your smart phone from a convenient location. You are not tethered to the SatSleeve Hotspot. 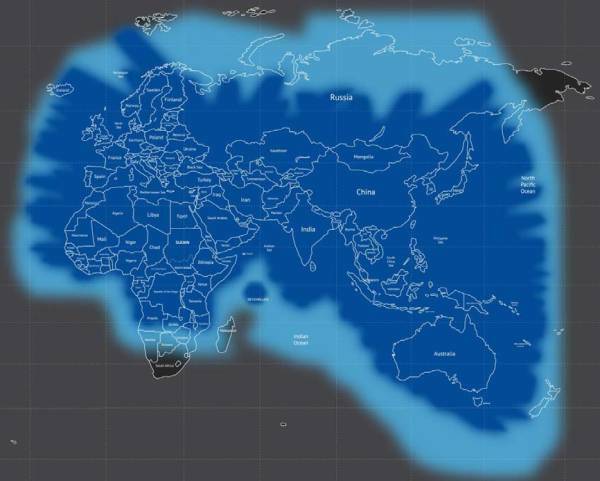 Thuraya coverage includes most of Europe, Africa, Asia, and Australia. The SatSleeve Hotspot app is compatible with your iOS or Android smart phone. You can make calls, send messages and email or browse the web. Popular social media and messaging apps such as Twitter and WhatsApp are also available. You can still receive calls on your smart phone in cellular mode. How Does the S.O.S. Button Work? The SatSleeve Hotspot comes equipped with an S.O.S. button that works even if your smart phone is not connected. The S.O.S. button will make an outgoing call to a predefined number set by the user. The S.O.S. button can also receive an incoming call. The SatSleeve Hotspot has a built-in microphone and speaker. So when you make an S.O.S. call or receive an inbound call using the S.O.S. button you can communicate directly through the SatSleeve Hotspot even if its Wi-Fi is off or no smart phone is available! 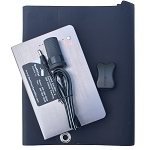 The SatSleeve Hotspot can run for about 70 hours in Standby mode if the Wi-Fi is turned off. So if you are in a situation where you need to conserve power, turning off the SatSleeve Hotspot's Wi-Fi and using it without your smart phone can be important. Even without a smart phone, you can make a phone call to one pre-configured number using nothing but the S.O.S. button on the SatSleeve Hotspot. You can also receive inbound calls using the S.O.S. button. When an incoming call occurs, a vibration alert lets you know. If only phone calls are made, about 3 hours of talk time is available on a single charge. A fully discharged battery takes about 2.5 hours to recharge. The battery charge status is shown in the SatSleeve Hotspot App. There is also an LED on the SatSleeve Hotspot itself that turns from red to blue when the battery is fully charged. See the specifications page for detailed battery life, operating temperature, and storage temperature information. 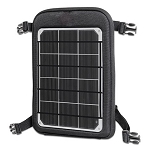 Outfitter Satellite offers a backpack mountable solar charger for use with the SatSleeve Hotspot. 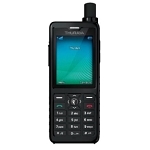 Q: What is distance range I can go with my smartphone from the Thuraya SatSleeve Hotspot.? A: Hello. Thuraya states that the range is up to 30 meters. This would, of course, depend on many environmental factors including competing signals, walls, terrain, etc. 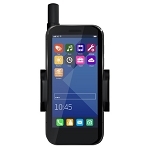 Thuraya Universal Adapter -- lets you dock iPhone and Android smart phones (from 58 to 85 mm wide) directly on the Thuraya SatSleeve Hotspot and use it like a handheld satellite phone.